President Donald Trump praised his under-fire son-in-law Jared Kushner for trading an easy life in New York to work in politics and pursue peace in the Middle East. Kushner, 38, who comes from a billionaire real estate family and is married to the president’s eldest daughter, Ivanka Trump, is a senior White House adviser on foreign policy. “Jared had a very easy life. He was doing phenomenally in New York and everything he touched has turned to gold,” Trump said on Monday at an event celebrating prison reform under the First Step Act, of which Kushner was a champion. “And then one day he said I wanna come down and I wanna have peace in the Middle East and I wanna do criminal justice reform and I wanna do all these wonderful things, and his life became extremely complex. “And he wouldn’t trade it. I don’t think he’d trade it because what he’s doing is incredible. And he is doing great in the Middle East. Since entering the White House with the Trump administration, a number of issues have surrounded Kushner. These include the approval of his White House security clearance despite the CIA and others recommending it be blocked; multiple investigations by the Department of Justice, SEC, and IRS into his family business of which he is the former CEO; and scrutiny by special counsel Robert Mueller of his contact with the Russians while part of the 2016 Trump campaign. Most recently, the House Oversight and Reform Committee is investigating the alleged use by Kushner and his wife, also a White House adviser, of personal email and WhatsApp for official communications, which may contravene the law on keeping records. 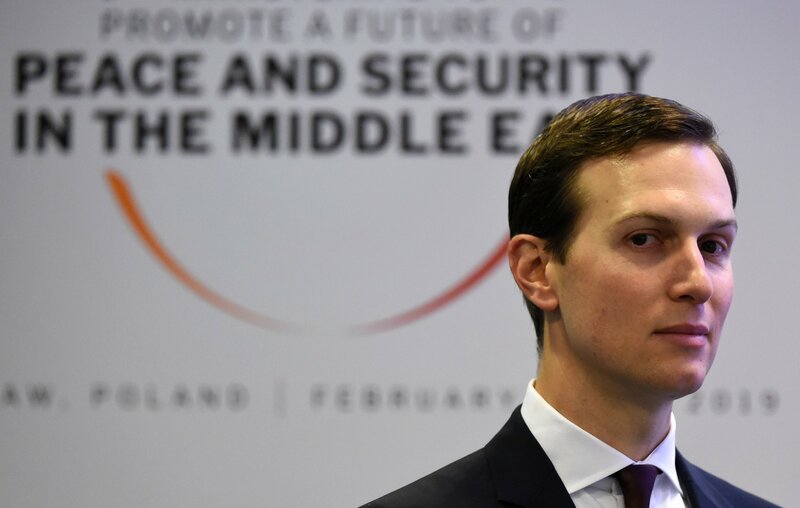 In February, Kushner toured the Middle East with his peace plan in a bid to end the ongoing Israel-Palestine conflict, though he made little progress. According to Reuters, Palestinian leaders refused to discuss Kushner’s peace plan after the Trump administration moved its embassy from Tel Aviv to Jerusalem and recognized the ancient city as Israel’s capital in defiance of the international community. Kushner pushed for the provocative embassy move in 2017 and spoke at its opening in the divided city, which is of major religious significance to both Jews and Muslims.